Summertime is in full swing and it’s HOT here in Texas! 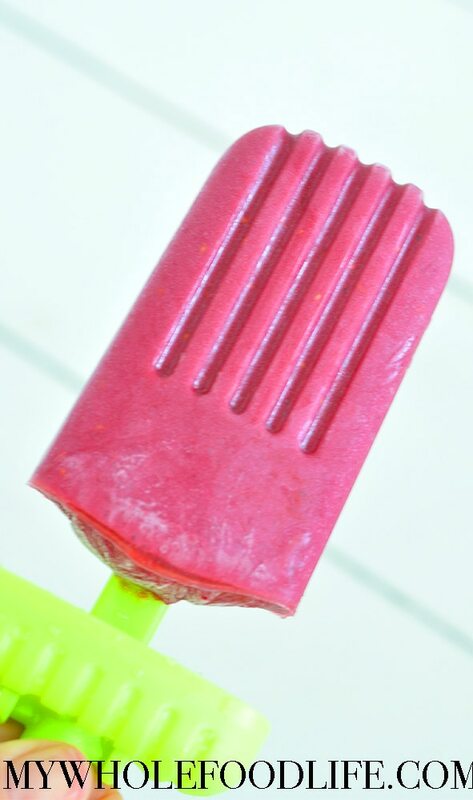 So these Raspberry Vanilla Protein Popsicles are the perfect treat to help you cool off. 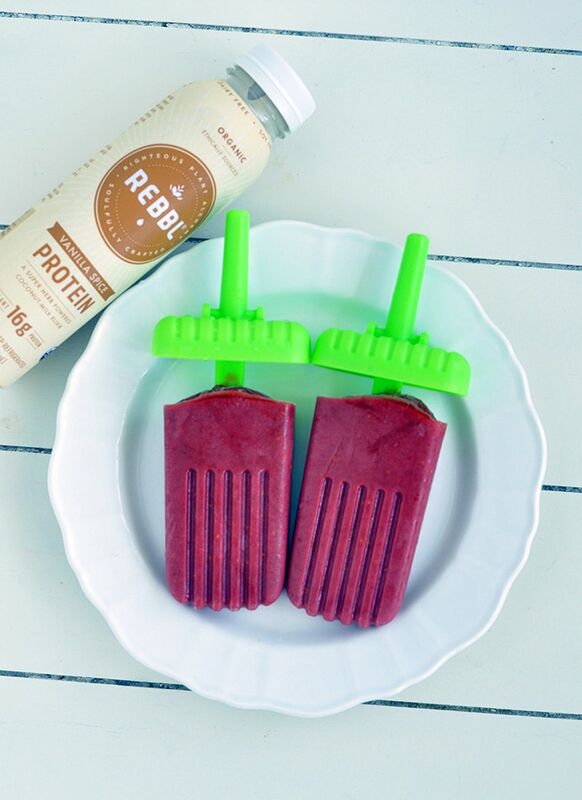 I used REBBL’s Vanilla Spice Protein Coconut Milk Elixir in these tasty pops. Each bottle contains 16 grams of plant based protein. The organic protein blend is sourced from peas, pumpkin and sunflower. So you know you are getting whole food protein vs processed stuff in so many other protein drinks. REBBL coconut milk elixirs contain real ingredients, are vegan, gluten free, fair trade and they contain super herbs. As I said before, Texas summers are hot and we spend a lot of time out by the pool. These treats are the best to enjoy out there. They not only come with a lot of protein, but they also contain super herbs to help boost your energy levels. I used frozen fruit for mine, but you can definitely use fresh as well. The super herbs in the Vanilla Spice Protein Drink can help repair and re-energize you in the heat of the summer. MACA – Supports healthy energy levels, can increase stamina and endurance, and helps keep a healthy hormone balance. REISHI – Helps support liver protection and detoxification, cardiovascular health and healthy aging. ASHWAGANDHA – Supports sustained physical endurance, improve cognitive function, and enhances relaxation. REBBL also donates 2.5% of revenue to Not for Sale to support parts of the world that are vulnerable to human trafficking. So every time you purchase a bottle, you are helping that cause too. To find REBBL products near you, you can use the store locator on their website. You can also follow them on Facebook, Twitter and Instagram. We filmed a short video for this recipe. You can view it below. For more videos, you can subscribe to my You Tube Channel. The perfect summer treat to cool you off. Vegan, gluten free and grain free! 1 bottle REBBL Vanilla Spice Protein coconut milk elixir. 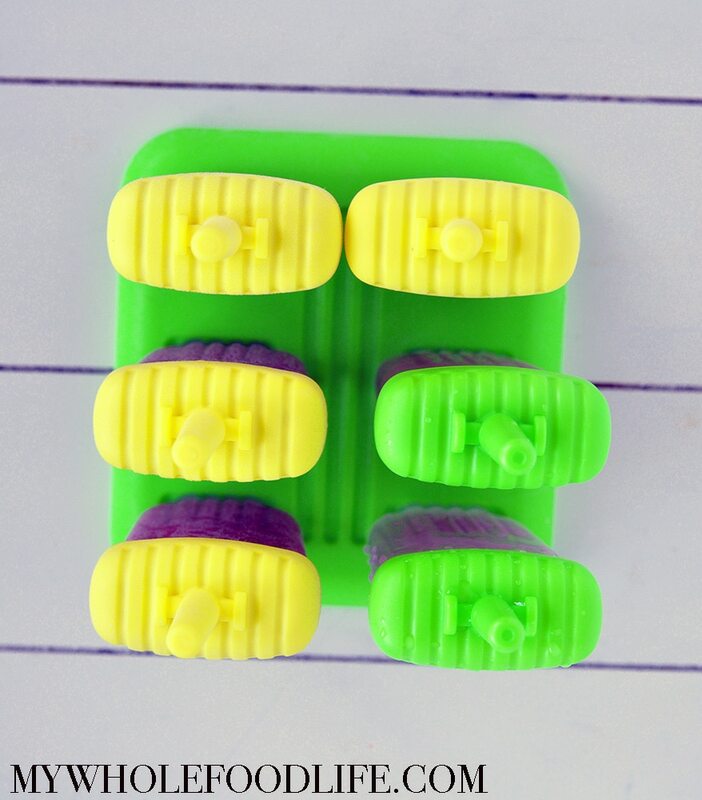 Pour contents into ice cream molds and place in the freezer for about 6 hours to set. These should last several months in the freezer. Enjoy! !